There are hundreds of toxins and poisons that standard water filters cannot remove including heavy metals, arsenic, pesticides, chlorine and fluoride. Here at Chanson Water® we do not want to simply sell you a filter, we want to sell you the right filter for YOUR water conditions. We are not from the water industry – we are from the alternative health industry. Our staff has combined 28 years of nutritional counseling, and all of our advice is based on long term health results. Your health is important to us, and we will give you our honest opinion; not just industry advice, which is rarely the proper health advice. Contact the local water company who issues your water bill every month. Ask them to supply you with their most recent “water quality report.” They may direct you to their website for the report or you can ask for them to email or FAX it to you. 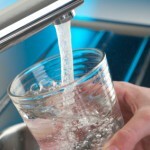 Email the water report to: tech@chansonwater.com or FAX it to 949-600-7960. Please be sure to include your name, email and contact number and let us know if you are concerned about a water filter, water ionizer or water softener choice so that we may best serve you. That’s all you need to do! Our water expert will review your report and contact you within 1-2 business days and give you our recommendation. Call a local water testing company and have them come out to do a water test – most will charge from $85.00 to $150.00 to test for up to 10 contaminants. Call 1-888-624-2169 or order our “water test kit online” for $180.00. The kit has several testing bottles along with usage instructions. You can then mail the kit back to the laboratory and we will have the results within one week. This test covers over 80 contaminants. Bacterial check is available for $30.00 extra and we highly recommend this option for well users. That’s all you will need to do, the lab will notify us when your results are in and we will contact you with the results and recommendations. One of the many great things about owning a Chanson filter system is that Chanson is a 30 year old water filtration manufacturer with a substantial research and development department. Chanson works to continually improve our filters which will benefit you every time you need replacements as they will be the newest version of our product.